Perform each exercise in this circuit one after another take minimal rest between each one. Repeat this circuit 10 times. 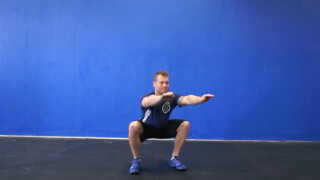 The air squat is a beginner level lower body exercise that targets the glutes ad quads. The push-up is a basic upper body exercise. This is a great exercise for any fitness level because it targets the chest, shoulders, arms and core.